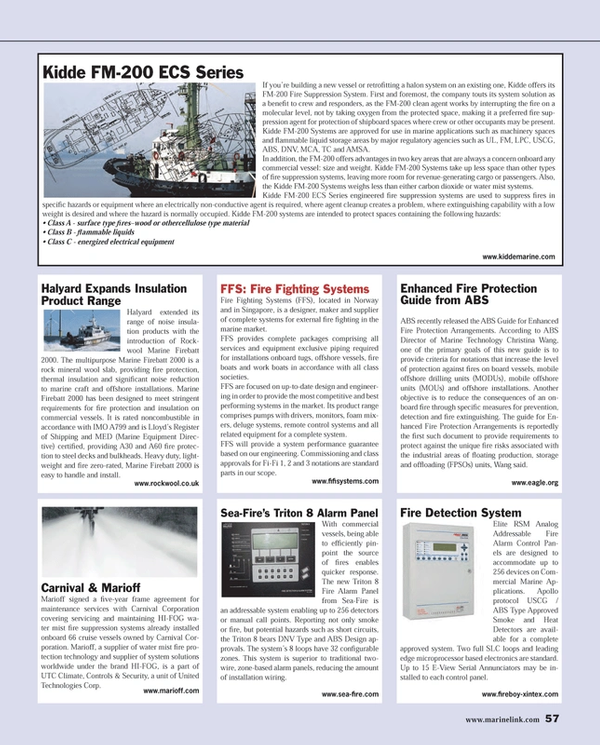 Fire Fighting Systems (FFS), located in Norway and in Singapore, is a designer, maker and supplier of complete systems for external fire fighting in the marine market. FFS provides complete packages comprising all services and equipment exclusive piping required for installations onboard tugs, offshore vessels, fire boats and work boats in accordance with all class societies. FFS are focused on up-to-date design and engineering in order to provide the most competitive and best performing systems in the market. Its product range comprises pumps with drivers, monitors, foam mixers, deluge systems, remote control systems and all related equipment for a complete system. FFS will provide a system performance guarantee based on our engineering. Commissioning and class approvals for Fi-Fi 1, 2 and 3 notations are standard parts in our scope.